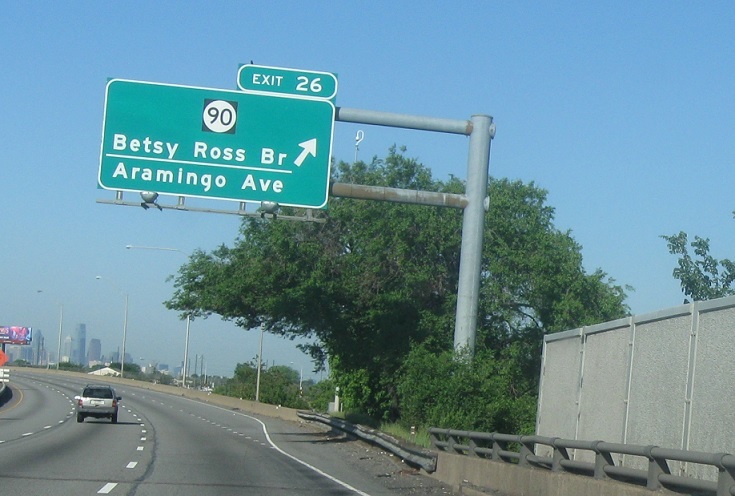 As Route 73 traffic merges on, we’re 1.5 miles from the Betsy Ross Ridge and New Jersey 90. 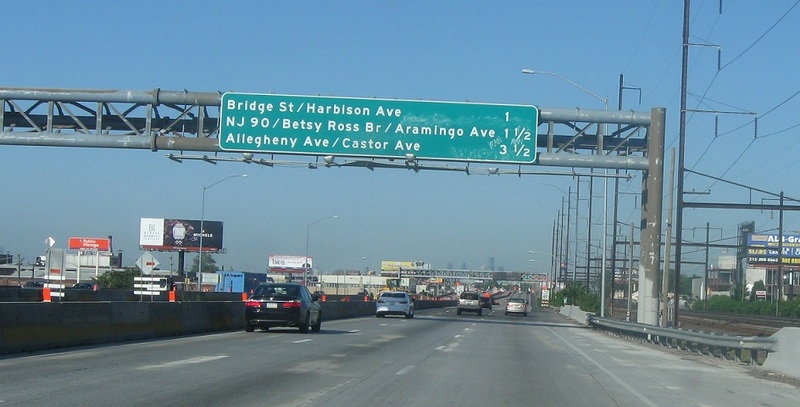 Reassurance shield after the 73 interchange. Just ahead we’ll approach NJ-90. PennDOT does a good job sticking with the black background around the circle like NJ does it. 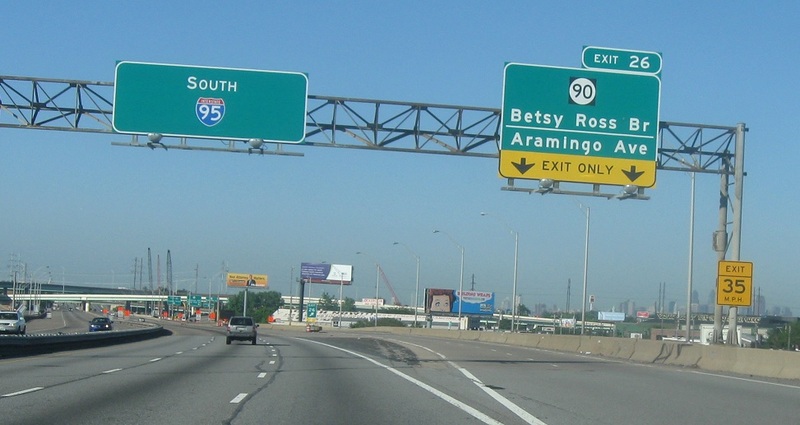 Exit for New Jersey 90. 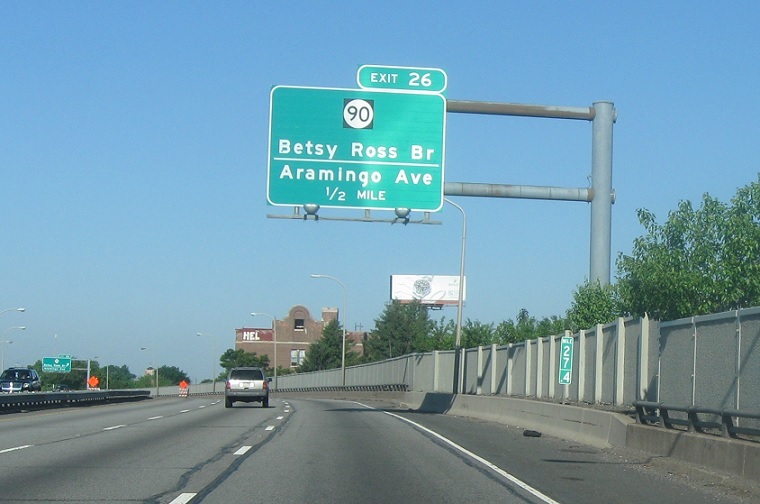 Because the Betsy Ross Bridge is maintained by the Port Authority and not NJDOT or PennDOT, they just went ahead and designated the whole thing Route 90, even where it’s in Pennsylvania. 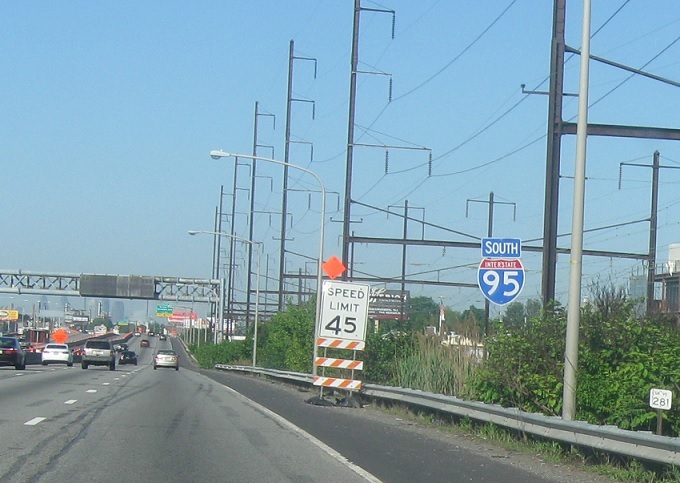 Route 90 heads over the Betsy Ross Bridge into New Jersey.